My experience with a California internet mortgage company turned into a horrible nightmare. They did not know anything about Florida and did not return phone calls, etc. Luckily I found Florida Mortgage Corporation and have to say it was a very pleasant experience and a quick closing. Florida Mortgage Corporation really cared about me and made me feel important and not just another number. I highly recommend Florida Mortgage Corporation. Very impressed with J.W. 's ability to get the loan I requested. 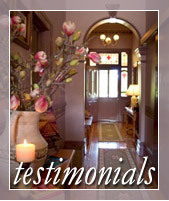 We found that Florida Mortgage Corp. were very friendly and gave us prompt efficient service. Everything was upfront with no surprises. J.H. was a pleasure to deal with, we will gladly recommend this mortgage company to anyone seeking a mortgage. My dealings with FMC were very positive. SK & MB were great to deal with. They answered all my questions patiently and the closing went very well. Would recommend FMC wholeheartedly to anyone. The big bank shuffled my loan from department to department what seemed like forever. I decided to cancel my application and go elsewhere. Florida Mortgage Corporation gave me very personalized service and attention. I worked throughout the loan process with one very professional loan officer. Someone who knew what he was doing and cared. All my friends will know about FMC. I would highly recommend FMC. There were no surprises. I was given a list up front of what was needed, which I gave them. Next thing I know, it was time for the closing! It was a pleasure to work with J.H. He was courteous, always helpful and very knowledgeable. I recommend Florida Mortgage Corp. to everyone. 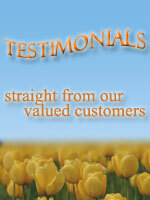 We found that Florida Mortgage Corp. were very friendly and gave us prompt efficient service. Everything was upfront with no surprises. J.H. was a pleasure to deal with. We will gladly recommend Florida Mortgage to anyone seeking a mortgage. The service and assistance was excellent. Your staff went out of their way to be sure I was taken care of. I found Florida Mortgage Corporation via your web site and decided to contact you. I was a bit wary. However, the professional response I received from J.H. made me decide to proceed. The quality service I received was excellent. I had a lot of questions which were answered with patient understanding. I signed off on my construction loan. P.S. I referred my cousin who is now in the process of looking for a loan. I feel as if I can speak for both of us in stating that J.W. was not only professional, but honest and up front with regard to all costs and issues. We hope not to buy in the next year or two, but if we buy rental property or re-finance, we will use Florida Mortgage and J.W. as our mortgage company. Thank you. J.W. made our move easier. He always returned our phone calls in a timely manner. He got us a great rate for our new home. We will definitely refer him to others in the future. Thanks. The Florida Mortgage Corp. was extremely helpful in obtaining the mortgage. Mr. J.H. kept in constant contact with us guiding us thru the whole procedure. He helped to secure the great interest rate and to have the closing. I will recommend FMC and Mr. J.H. to my friends. Thank you. 2nd experience with Fla. Mortgage. Again, very pleasant, very professional. No surprises. J.W. was as helpful and knowledgeable as the 1st time. Your affiliates were as professional & courteous as Fl. Mort. Thank you. I couldn't have asked for better service! FMC figured everything (all details) out for me which made the transaction hassle free and effortless. Thank you so much! Florida Mortgage Corporation has helped with financing property in the following Florida cities. Over 22 years of many satisfied customers has made us a leader in the industry.